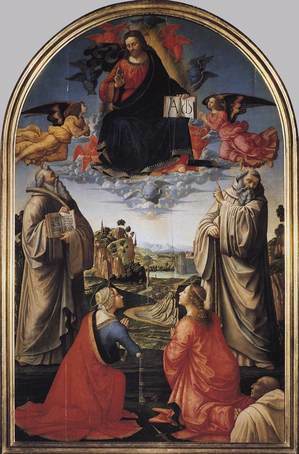 You revealed to blessed Mechtild, your virgin, the hidden secrets of your providence. May we who know You now through faith rejoice hereafter to see You face to face. A brief biography can be read here. One key point in the life of Saint Mechtild is that she was the dear friend of Saint Gertrude the Great and who had a spiritual daughter in the other Mechtild, that of Magdeburg, who lived at the same time. 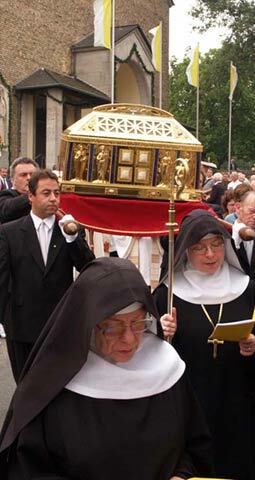 O God, Who in the most pure heart of blessed Gertrude Thy Virgin did prepare for Thyself a well-pleasing dwelling, mercifully efface all stains from our hearts, so that they may merit worthily to be made the dwelling place of Thy divine majesty. Saint Gertrude was not drawn to the Heart of Jesus as much as through the Heart of Jesus, to the Father, in the Holy Spirit. Her prayer is essentially Trinitarian. Her whole being is oriented ad Patrem, and this because she is united to the Son, because she has entered through the pierced Heart of the Son as through an open door, oriented and carried as it were, by the breath of the Holy Spirit. Hail! 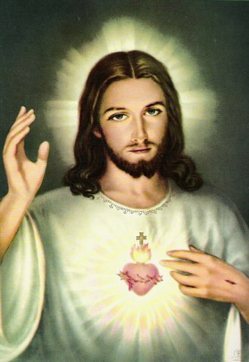 O Sacred Heart of Jesus, living and quickening source of eternal life, infinite treasure of the Divinity, and burning furnace of divine love. You are my refuge and my sanctuary, O my amiable Savior. Consume my heart with that burning fire with which Yours is ever inflamed. Pour down on my soul those graces which flow from Your love, and let my heart be so united with Yours, that our wills may be one, and mine in all things, be conformed to Yours. May Your divine will be equally the standard and rule of all my desires and of all my actions. Amen. One day between Easter and Ascension I went into the garden before [Office of] Prime, and sitting down beside the pond, I began to consider what a pleasant place it was. I was charmed by the clear water and flowing streams, the fresh green of the surrounding trees, the birds flying so freely about, especially the doves. But most of all, I loved the quiet, hidden peace of this secluded retreat. I asked myself what more was needed to complete my happiness in a place that seemed to me so perfect, and I reflected that it was the presence of a friend, intimate, affectionate, wise, and companionable, to share my solitude. Today, November 13, we celebrate the feast of All Saints who persevered under the Rule of Saint Benedict are now with God as intercessors for us at the Throne of Grace. The observance of different day for “Benedictine All Saints” is a holdover when the calendar was reformed by Pope Gregory. Nevertheless, the monks, nuns, and oblates who follow the holy Rule venerate the named and un-named saints of their monasteries. Let us all rejoice in the Lord, celebrating a festival in honor of all the saints who did battle under the Rule of Saint Benedict, at whose solemnity the Angels rejoice and all together praise the Son of God. Almighty and ever-faithful God, who ceaselessly bestow the gift of monastic life upon your Church, grant us, we beseech you, perseverance in that same vocation that we may advance full of gratitude for those who have gone before us on this path, holding nothing more dear than Christ. O God, almighty Father, who called the blessed abbot Columba to the monastic way of life and opened to him the secrets of the mysteries of Christ, mercifully grant that, strengthened by his intercession, in the spirit of your adoption as sons, we may become a dwelling place worthy of your Wisdom. Through the same Lord Jesus Christ, your Son, who lives and reigns with you, in the unity of the same Holy Spirit, God, forever and ever. … According to our manner of speaking, holiness seems to us that it is composed of a double element: first, infinite distance from all that is imperfection, from all that is created from all that is not God Himself. This is only a ‘negative’ aspect. There is another element which consists in this: that God adheres by an innumerable and always present act of His will, to the Infinite Good, which is Himself, in order to conform Himself entirely to all that this Infinite Good is. God knows Himself perfectly. His All-Wisdom shows Him His own essence as supreme norm of all activity. 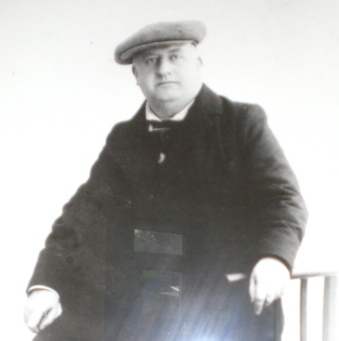 The author of this blog has more on Blessed Columba, plus you may want to survey this site. Saint Hildegard of Bingen (1098-1179) whom the Church raises up for us is a remarkable woman: deeply committed to seeking God, a friend of the Lord, and a pastor of souls. In her era she lived to almost 80 years, a rare age then and as it echoes the psalmsist. One point of context: Hildegard was born in the year that the Cistercian reform of monasticism was born. 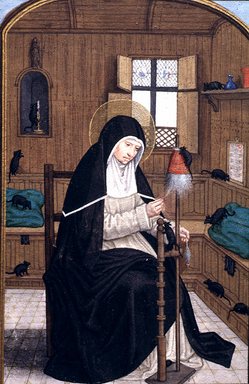 She is remembered for being an abbess, a reformer, a theologian, a singer-songwriter, a mystic, a biologist, an environmentalist, and a dialogue partner with world leaders. Are we clear that Saint Hildegard was intelligent and competent? 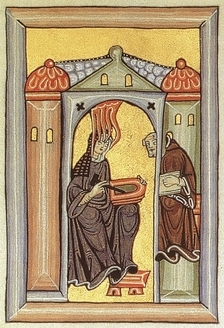 The Spouse of Christ Hildegard, illuminated the Holy Church by the light of her wholesome doctrine. Grace is poured out upon thy lips. Therefore God has blessed thee forever. with heavenly gifts; we beseech Thee, grant that following her example and teaching, we may deserve to pass from darkness of this present world into the gladdening light of Thy presence. 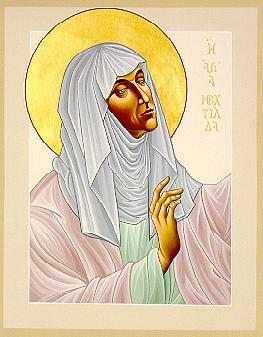 Lord, may the gifts we bring You help us follow the example of Saint Hildegard. Cleanse us from our earthly way of life, and teach us to live the new life of your kingdom. Lord, may our reception of the body and blood of Your Son keep us from harmful things. Help us by the example of Saint Hildegard to grow in Your love on earth that we may rejoice for ever in heaven.